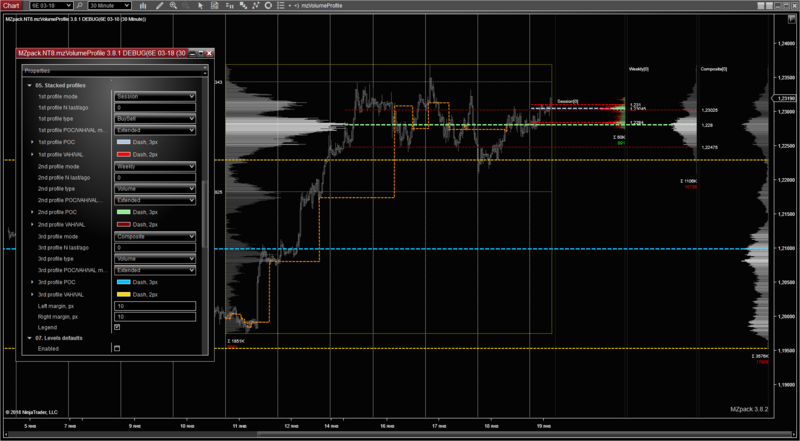 – Stacked Volume Profiles has been added. 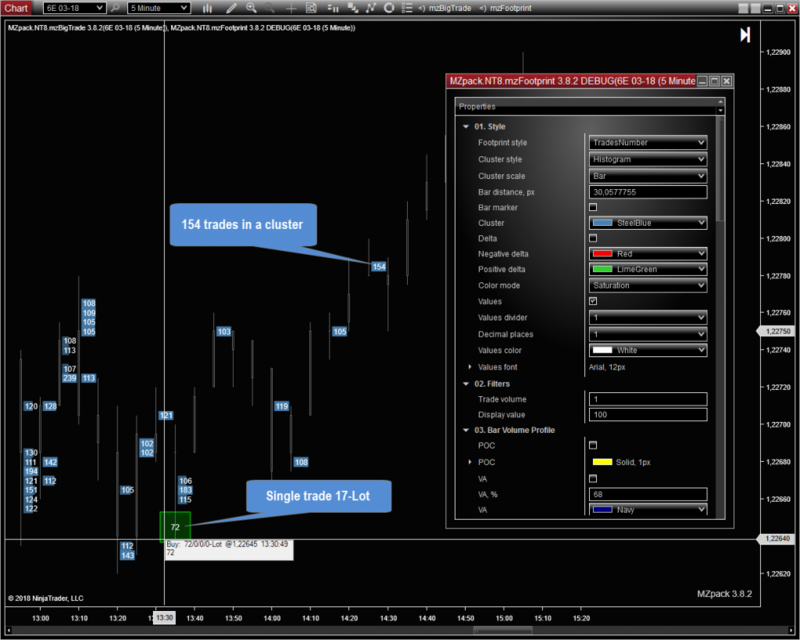 It’s up to three independent Volume Profiles at right margin of the chart. Cumulation and shifting functions are available. E.g. Sessions cumulates VP for two last sessions. Session shows VP for one session ago. Session shows VP for current session. 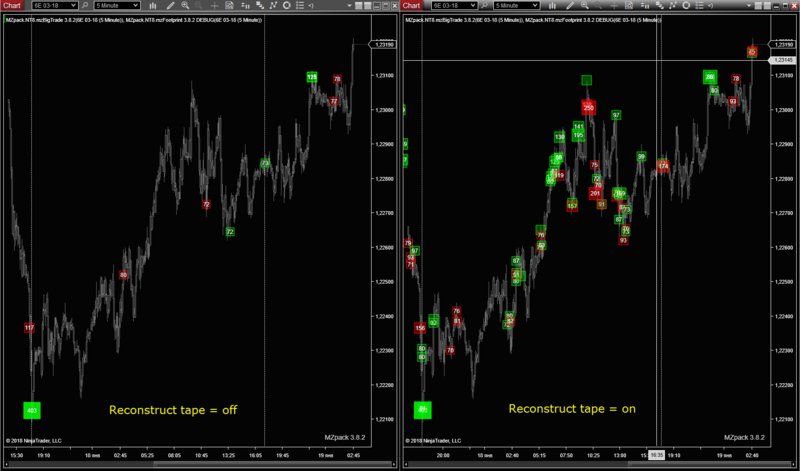 – ‘Reconstruct tape’ option has been added. To spot single trades turn it on. Turn it off to see aggregated trades. – New Footprint style ‘TradesNumber’. Shows number of trades in a cluster. See details in User Guide. The shortcut to the updated User Guide will be on your Windows Desktop after installation of the release.